Exciting NEW Thor Motor Coach Class C! See this NEW 2019 Four Winds 22B with our Motorhome Experts in Weare today. 1 slide and sleeping for up to 6...this unit is great for a mid sized crew. Rear bed and bath suite. 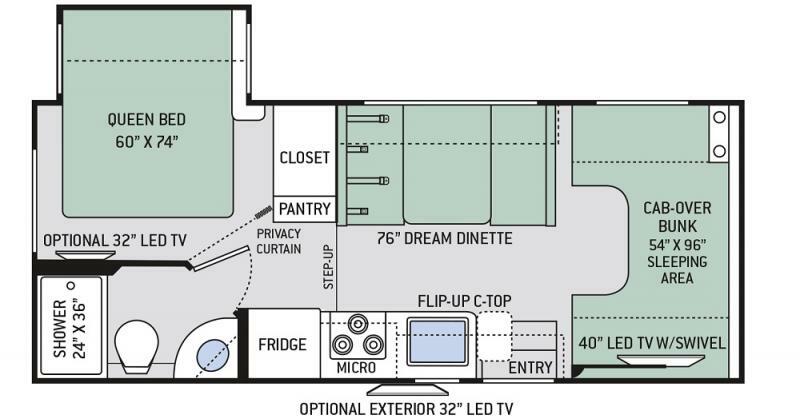 Spacious kitchen with sleek appliances and so much more! Units like this are sure to sell fast!